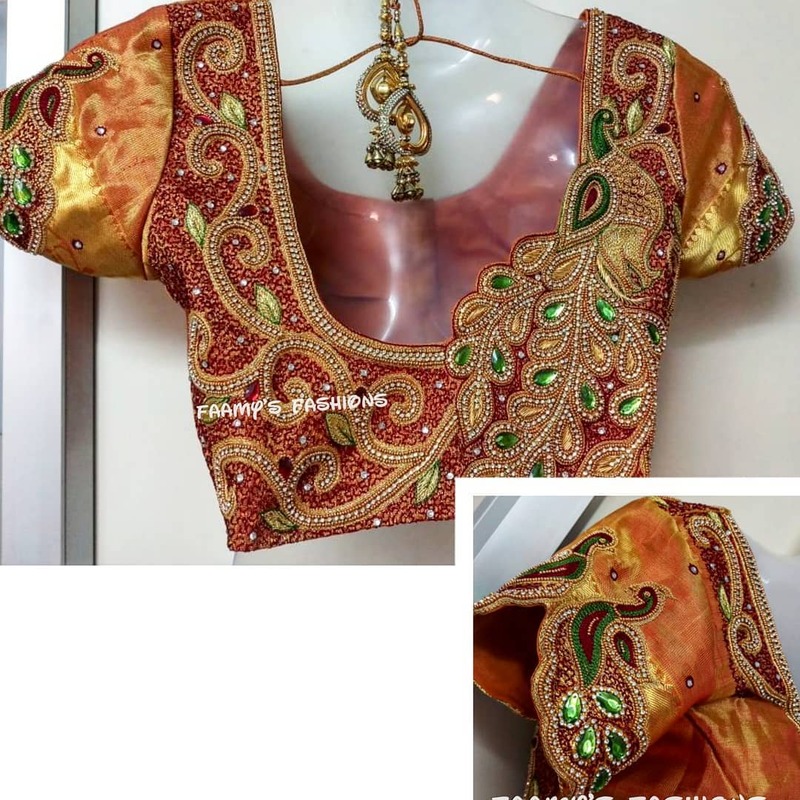 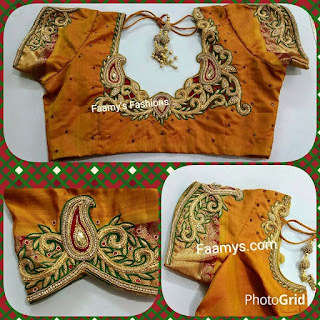 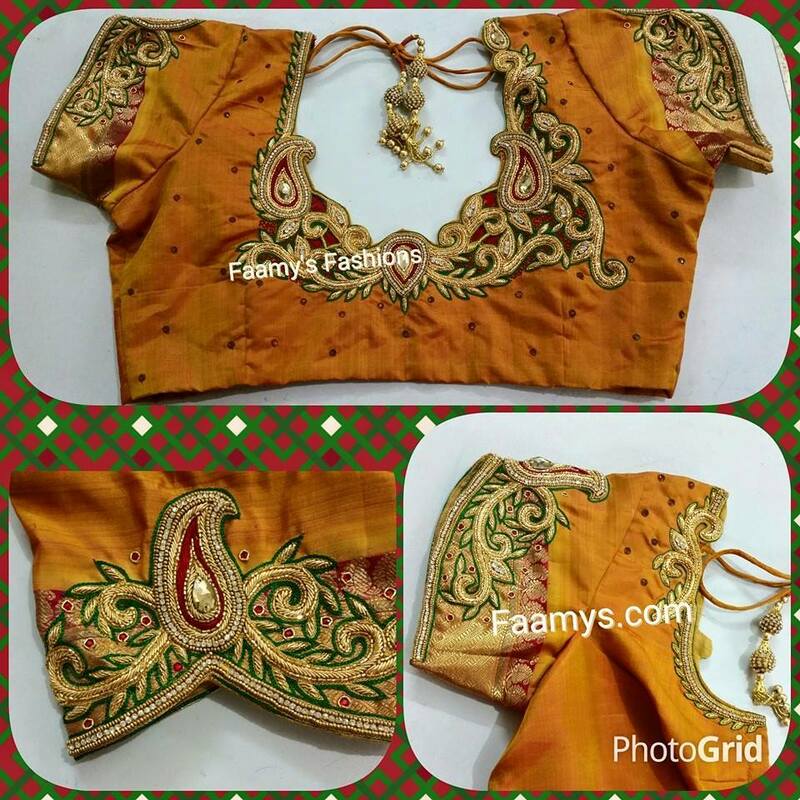 Faamy's Blouse elegantly designed with peacock work at back and sleeves. Detailing with thread load work. 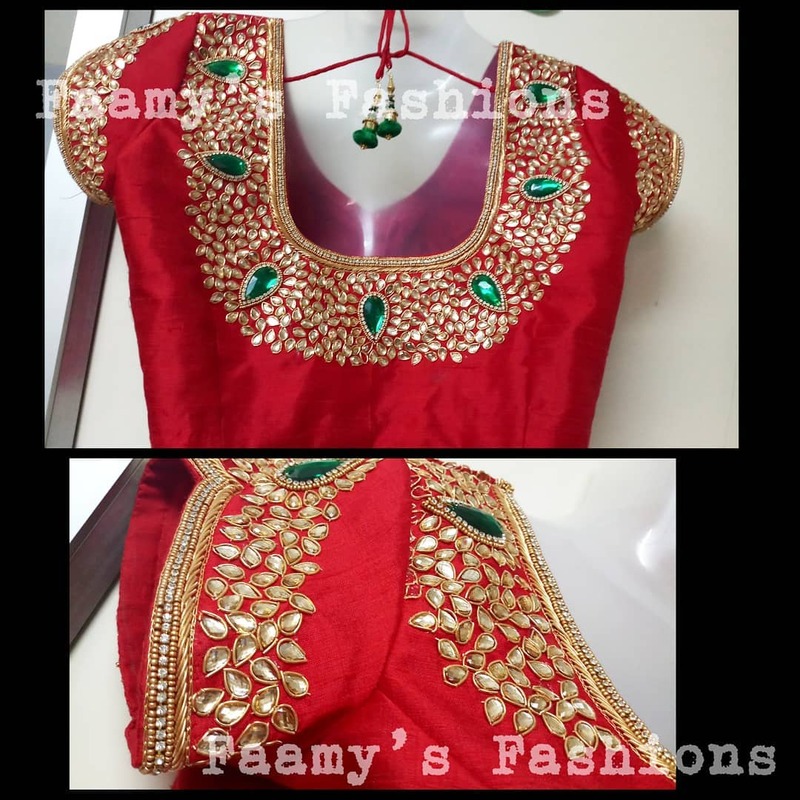 At the sleeve two peacocks cutwork is our signature work!